(281) 337-4892 TECL #25064 Financing Available! 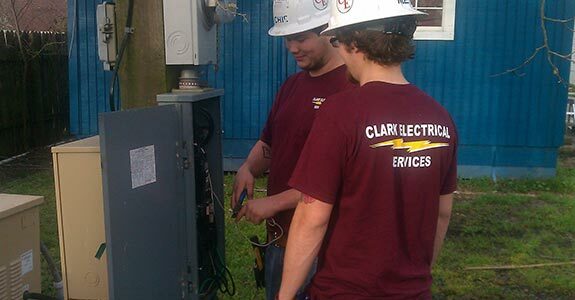 When it comes to electrical system service, installations or repairs, Clark Electrical Services is your standalone professional provider in Dickinson, TX and the surrounding areas. From new home installations to commercial maintenance, our experience and expertise is unmatched. We’re here to ensure quality and safety in your electrical system. Electrical system integrity is paramount no matter the application and at Clark Electrical Service, we’re committed to the safety of all of our customers. By providing electrical work that’s grounded in experience and maintaining our high standards of quality in every job that we do, we’ve become the foremost source for any and all electrical needs in Dickinson, TX. From brand new installations to electrical system maintenance, our scope of work encompasses all facets of electrical need, in both residential and commercial capacities. We’ll happily inspect, repair, service or maintain your electrical system, to ensure proper working order and complete safety throughout. We have a AAA rating with the Better Business Bureau. We are licensed and insured electricians, giving you peace of mind through our professionalism. We serve Dickinson, TX and the surrounding 50 miles. Our experts have more than 40 years of veteran electrical experience. We repairs, maintenance, installation and emergency service calls. "Mr.Clark runs a fantastic business. He and his employees are prompt, knowledgeable, and courteous. 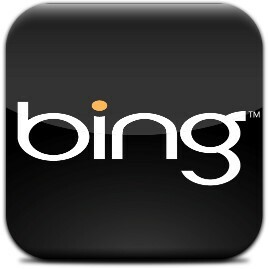 They do a great job and go above and beyo..."
"Theses guys are the best . very honest and nice . Richie came out tolook at our electrical issues . took him less 30 min to fix issues . NO ..."
"Reliable, friendly people so nice!!" "Fast, great work at a reasonable price. Called at 730 am, to get a 30 amp rv outlet hooked up at by mom's house, they were done by 1130am." 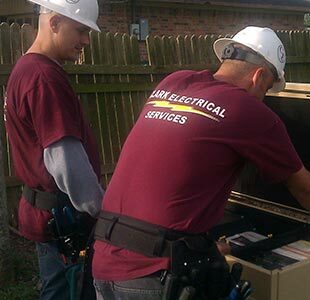 From a simple blown fuse to an entirely new electrical installation, we’re the top service providers when it comes to electrical work in Dickinson, TX. See why today!